OSM Solutions is an Austin-based integrator that offers a diverse portfolio of services, from installation to fully hosted deployments. Notable vendors regularly turn to OSM to better understand and fully harness the power of digital signage to help differentiate in highly competitive markets and ultimately drive bottom-line growth. To that end, Charley’s Grilled Subs approached OSM to begin integrating digital menu boards into flagship locations across the country. 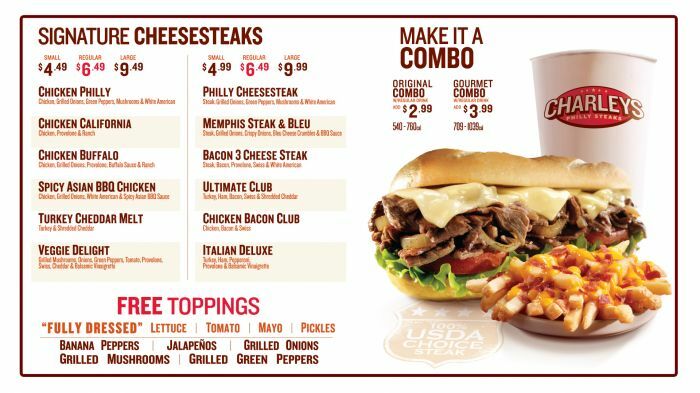 Charley’s Grilled Subs was looking for a solution that enabled them to maintain control of menu content for the entire chain, while still allowing individual franchise owners to make pricing changes to suit their location and market. BrightSign and OSM Solutions have a longstanding partnership, and working together on this project was a natural fit. Since the initial deployment in 2010, 16 restaurants have “gone digital” with more on the way. OSM Solutions’ work with Charley’s Grilled Subs exemplifies what is possible with players like BrightSign’s HD digital signage players – they offer a compelling combination of reliability, affordability and network capabilities. And as future installations evolve to require additional functionality such as authoring content in HTML5, BrightSign’s recently introduced portfolio of XD players is the ideal complement to even the most complex deployments.